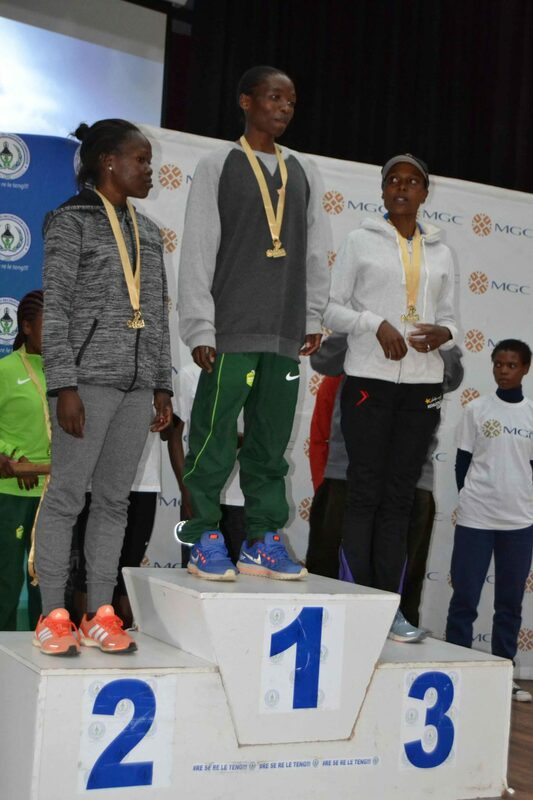 MASERU – Top athletics coach Chaplin Mpomane is confident that Lesotho’s number one female marathoner ’Mamoroallo Tjoka is on right track to prevail at this year’s IAAF World Athletics Championships and next year’s Olympic Games. The IAAF World Championships are scheduled for Doha, Qatar from September 27 – October 6, while the Olympic Games are set for Tokyo, Japan from June 24- August 9, 2020. Mpomane, who is a former top athlete himself and currently trains Tjoka is content that his protégé’s chances of putting up an impressive showing at the two global events are pretty high. The coach oozes confidence following Tjoka’s recent good performances, the latest being at the Durban City Marathon which was held in Durban, South Africa last Sunday. Tjoka won the 10km female section and made her personal best time of 00:33:37. Mpomane said the marathoner, who earned the honour of being called the ‘Queen of Soweto’ after she dominated the prestigious SA race for quite some time only competed in 10 km event to improve the quality of her speed. This, he said was part of Tjoka’s preparation for the World Champs and the Olympic Games. “The Durban race was extremely fast and most importantly she was aiming to improve her speed and I am confident that she managed to do just that,” said Mpomane in an interview with Public Eye on Tuesday, adding that Tjoka was fit and in perfect shape for any international competition. “In fact, we are aiming to win a medal in one of the big international races for Lesotho before she hangs her running shoes. “I am satisfied that she will qualify for both the world championships and the Olympic Games.” Tjoka’s next port of call is at the Two Oceans Ultra Marathon scheduled for next Saturday in South Africa. 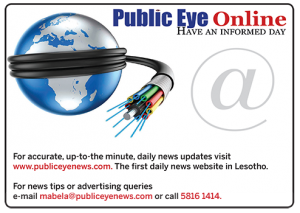 Lesotho’s most decorated long-distance runner will leave for the Two Oceans next Wednesday. After the Two Oceans, Mpomane said Tjoka is expected to compete in a race in Ireland where she will be representing Lesotho alongside her male counterpart, Jobo Khatoane. Both Tjoka and Khatoane were selected to represent the country after winning a national race in Mafeteng at the beginning of the year. The Mafeteng race was held to commemorate the late Queen Mother ’Mamohato Bereng Seeiso’s birthday. Mpomane said late last year, Tjoka won the Southern Region Athletics Meeting, which held in Port Elizabeth, South Africa where she also improved her personal best time. “She made 1:10:00 and now her plan is to improve that time and run faster than that,” Mpomane said. ’Neheng Khatala, who is also trains under Mpomane is the only Lesotho athlete who has qualified for the Tokyo Olympic Games so far.